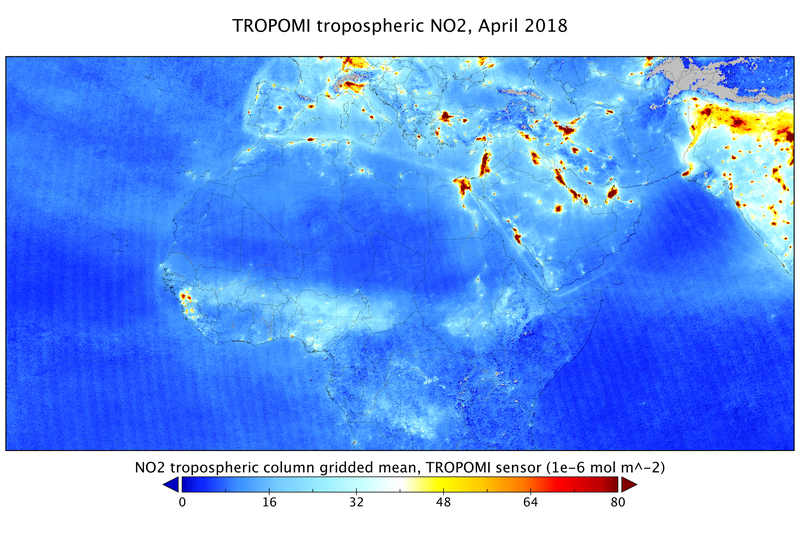 Following months of tests and careful evaluation, the first data on air pollutants from the Copernicus Sentinel-5P satellite have been released. These first maps show a range of trace gases that affect air quality such as carbon monoxide, nitrogen dioxide and ozone. Launched in October 2017, Sentinel-5P is the first Copernicus satellite dedicated to monitoring the atmosphere. It is part of the fleet of Sentinel missions that ESA develops for the European Union’s environmental monitoring Copernicus programme managed by the European Commission. 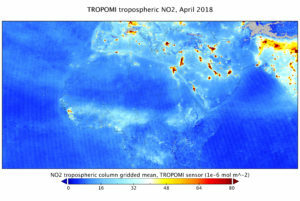 Its Tropomi instrument – an advanced multispectral imaging spectrometer – can zoom down to the surface of Earth and deliver detailed and accurate data about the atmosphere. With a resolution of up to 7 x 3,5 km, it can even detect air pollution over individual cities. The instrument also has the capacity to locate where pollutants are being emitted, effectively identifying pollution hotspots. Copernicus Sentinel-5P will also contribute to services such as volcanic ash monitoring for aviation safety and warnings of high level UV radiation. Copernicus Sentinel-5P data is now available globally free of charge.